Collaborative Divorce Professionals » What is Collaborative Divorce? 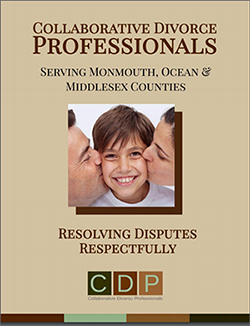 Independent interdisciplinary divorce professionals serving Monmouth, Middlesex and Ocean Counties. No single way of divorcing is right for every couple ending their marriage. 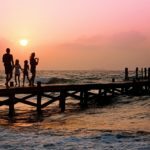 Many today are seeking an alternative to traditional divorce, one that minimizes the time, expense and hostility that are so often a part of divorce. Collaborative Law has been developed to provide individuals with a welcome alternative. Collaborative Law is a matrimonial dispute resolution process in which both parties and counsel commit themselves to resolving their differences fairly and equitably without resort or threat of resort to the courts. In recent years more and more matrimonial attorneys and divorcing couples have been drawn to this process as a cost-efficient and respectful way of reaching agreements that work for both of the parties and their families. With a collaborative approach, each party selects an attorney of their own choosing and commits to working outside of the court system to develop a settlement. Because the clients agree not to go to court, the process itself can be more open and less adversarial. The lawyers are used in a much more focused way in their capacity as problem solvers and knowledgeable divorce professionals. The goal is to enhance communication throughout the process and lay the groundwork for a healthier post-divorce relationship between the parties. Unlike a litigated divorce, a collaborative divorce gives the parties control of when, where, how often and how long they need to meet for each negotiation session. 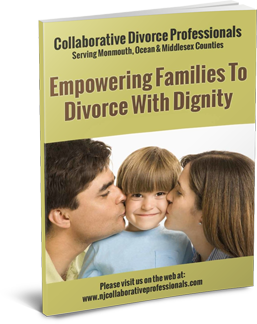 In addition, the collaborative divorce professionals are always looking for a way to advance both parties’ interests in a mutually beneficial way. The win-lose mentality of litigating in Court is dispensed with, in favor of a collaborative team working with each other, not against each other, to craft a mutually beneficial solution. Often, the first step of the process is to create a framework for effective communication that enables the building of a fair settlement framework and the trust needed for both parties to commit to that settlement. Depending on the complexity of your case, our collaborative professionals can put together a team of experts to address unique issues and specialized concerns. 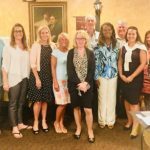 Our members include not only attorneys, but mental health professionals, child specialists, divorce coaches, accountants, mortgage bankers, financial planners and other financial professionals. If the issues in your case warrant it, and you desire the assistance, our group can serve as a strong source of reliable, expert information to assist you and your spouse in making divorce decisions for yourselves and your children. 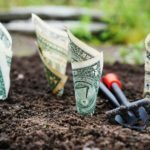 By avoiding costly litigation, collaborative divorce preserves more of the family’s finances for the future. Respectful relationships between the parties can also be preserved. And, perhaps, most important, children do not become pawns in the divorce or subject to the stress of ongoing legal proceedings. ​​Download our brochure and professional directory today and connect with a collaborative professional near you.